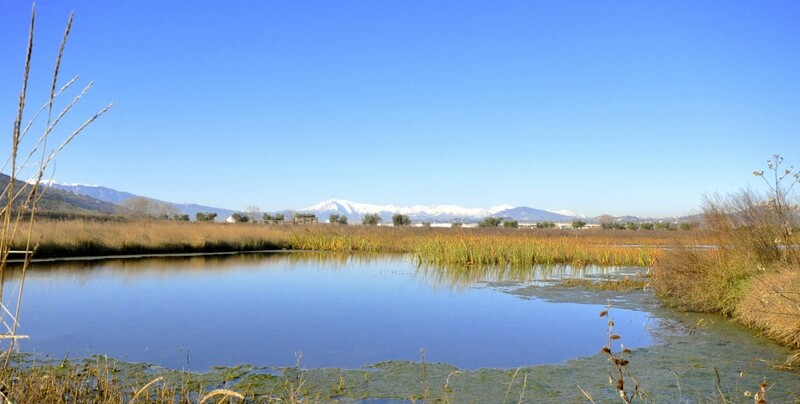 The Sentina Reserve is “a landscape of water and sand” of great natural value that is part of the Natura 2000 European Network. The Sentina Regional Natural Reserve is characterized by about 1700 meters of coastline along which there is a small dune system with natural vegetation. This environment is severely at risk due to coastal erosion, which prevents its natural evolution. Nevertheless, in the most intact parts diverse plant species of considerable conservation interest are still present, including the Seashore bindweed, the Sea knotgrass and Purple spurge. 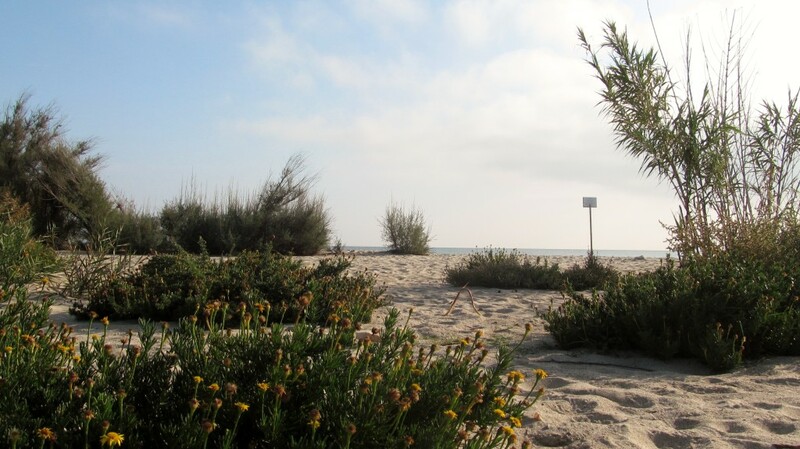 These plants, as well as other psammophilous species (living on the beach), have special adaptations that allow them to live in conditions apparently hostile to plant life such as deep roots, resistance to salinity and the presence of strong leaves. The dune environment is also frequented by several species of birds, one of the symbols is definitely the Kentish plover, a friendly and small migratory bird that lays its eggs on the beach and can be seen on the shoreline in search of food. This is definitely the most important areas of the Sentina Regional Natural Reserve, after being damaged by attempt of drainage during the past decades, they are now being restored thanks to the LIFE + project. The wetland area behind the dunes is extremely heterogeneous, being characterized by small pools of fresh or brackish water, permanent or seasonal. This heterogeneity provides food and shelter to many species of birds, resting here during their long migratory journeys, among them there is the Black winged stilt, the symbol of reserve and valuable visitor to the Sentina, but also many other species including egrets (such as the Cattle Egret), the Kingfisher and several species of ducks and passerines (such as the Cetti's Warbler). The ponds and streams are inhabited by amphibians (such as the Green toad), and reptiles; in the latter group there’s the Pond tortoise that will be reintroduced tank to the LIFE + project. This environment, also called "salt steppes", is particularly rare along the coast and it is characterized by a soil with high salt concentration due to the proximity, few inches below, of the sea water table. In these areas several temporary ponds can be observed, which unlike the wetlands described above, are caused by heavy rains or storms capable of overcoming the dune barrier. 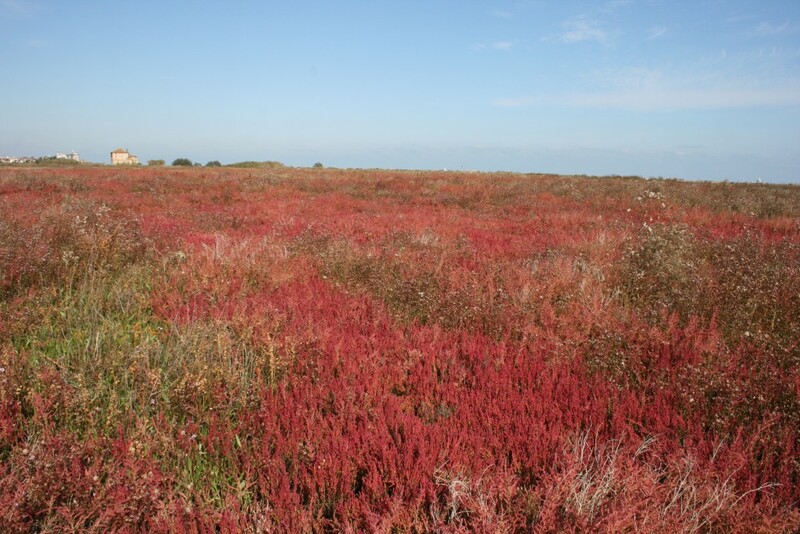 The salty meadow is the proper habitat of the Salicornia (the other symbol of the Reserve) and the Sea blite, both characterized by an intense red colour visible in the fall. Even the rare Sea aster, with its beautiful pink flowers, shows here all its charm after the hot and dry summer season. In these environments there is also the Liquorice, known for its medicinal properties since ancient times. This is the part of landscape that has suffered most from human activities and shifted far away from the ecosystem prior to the mechanization of agriculture. The hedges and rows are almost entirely disappeared, crop rotation is no longer practiced and farming techniques are intensive. The management plan of the protected area has set itself an ambitious return to the past also in order to support a high level of animal and plant biodiversity.